Tough Call: Will Roger Federer Win the U.S. Open? Here is this week's edition of Tough Call. Will Roger Federer win the U.S. Open? ~ The laws of probability: At some point, Federer has to have a bad day at a big event this year. It happens to all the great tennis players (including the greatest of all time). ~ Even though he’s beaten Nadal four times in a row, Nadal has looked great this year, and he may be No. 1 by the U.S. Open (an extra boost for the two-time U.S. Open winner?). ~ A new face might break through: The U.S. Open has been the only Grand Slam event since 2005 where more than one player outside the Big Four and Wawrinka has broken through and won the title (del Potro in 2009 and Cilic in 2014). So why not 2017? Federer is three weeks away from commencing his U.S. Open campaign. He has not won the tournament since 2008. He would be the oldest to win the Open at 36, surpassing Ken Rosewall, who took the title at Forest Hills in 1970 when he was 35. But I pick him to win the last major of 2017 and thus collect his third Grand Slam tournament title of the year. The last time he secured three majors in a single year was in 2007. The 36-year-old has been simply amazing this season, but on the court, it hasn't always been simple. 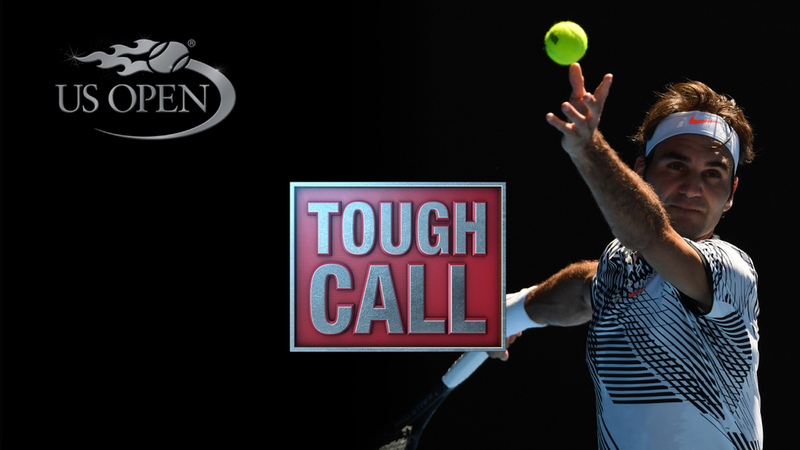 Federer was pushed to five sets three times at the Australian Open, he needed to save match points in Miami and he's taken losses to Evgeny Donskoy and Tommy Haas. Yes, I'm nitpicking, but I think that at some point during the U.S. Open—the Grand Slam tournament that Federer has gone the longest without winning—the seemingly inexorable tide will turn. In Federer versus the field, the safe bet is with the other 127, but if Nadal, Murray and the rest of the ATP Top 10 join Djokovic and Wawrinka in pulling out, I reserve the right to reconsider. At this point it's impossible to vote against Federer. A number of the top threats are out of action, and Federer is playing in two "warm-up" events (Montreal and Cincinnati). He'll be sharp and hopefully uninjured when he arrives in New York, also known as his home away from home. All roads lead to Federer winning the U.S. Open. Fed is on a mission and, frankly, I don't see anyone stopping him. Djokovic, Murray and Wawrinka—the kings of hard courts—won't be a threat since Djokovic and Wawrinka are out of commission for the remainder of the season and Murray is dealing with his own injury issues. The absence of last year's finalists, Wawrinka and Djokovic, clears a wide path for Federer. He would be favored in a match with either of the other two members of the Big Four—and anyone else, for that matter—on hard courts. The question is fitness: By the final weekend, Federer will have played four of the previous five weeks. That's a lot for him, but probably not enough to keep him from getting through this field. Everything is pointing toward No. 20 in New York. Djokovic and Wawrinka—who would have likely been his greatest challengers—are out, Murray is a question mark and Nadal’s North American hard-court seasons have disappointed before. Assuming Federer stays healthy between now and Aug. 28, he should win his sixth U.S. Open.